Dr. Daugherty received his undergraduate degree with honors from Duke University and a medical degree from the University of Wisconsin Medical School in Madison. While in medical school, he was elected to the Alpha Omega Alpha Honor Society. He next completed his internship and residency in general ophthalmology at the University of Virginia in Charlottesville. This was followed with a fellowship in pediatric ophthalmology at the Scottish-Rite Children’s Hospital in Atlanta. Dr. Daugherty is board-certified in general and pediatric ophthalmology, including state-of-the-art eye muscle surgery techniques for both children and adults. 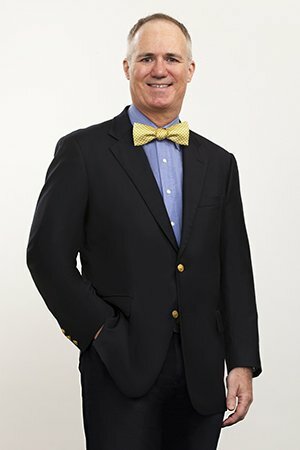 Recently, he was named a “Top Doctor” by Charlotte Magazine, and the Charlotte Business Journal listed him as one of Charlotte’s top pediatric ophthalmologists. Dr. Daugherty has contributed to many LASIK, glaucoma, and contact lens studies, and underwent LASIK surgery himself at Horizon Eye Care in 2000. He volunteers in the community by providing free ophthalmology screening exams and is a member of numerous state and national medical associations. Dr. Daugherty and his wife have two daughters. In his spare time, he enjoys his family, gardening, and playing piano and guitar.